While many like to enjoy their vacation in an opulent manner, a large majority of us usually like to sneak out for a casual getaway with the family and have a decent time. Surprisingly, you can now do so, that too without burning a hole in your pocket! Here’s a quick look at the wondrous destinations that are all at close quarters from New Delhi, and are promising as well! 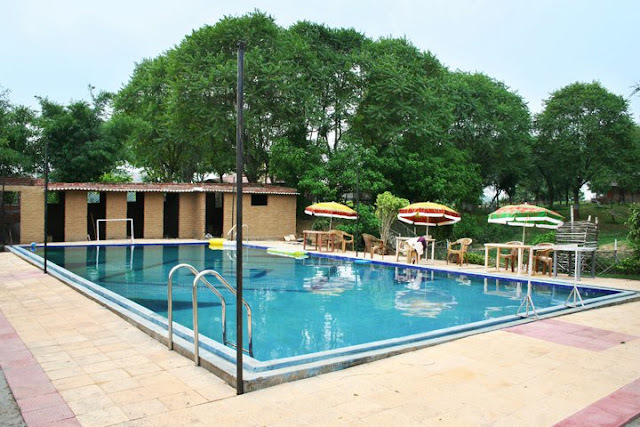 Located at around 80 kilometres from Delhi, this plush hotel has all that it takes to spend a gratifying vacation with the family. Right from a lavish swimming pool to its relaxing steam and sauna, not to forget the sprawling courts for badminton, squash and lawn tennis, this place is as enjoyable as it can get. And, while you’re busy getting a rejuvenating spa, your little ones can always have a fun-filled time in the dedicated kids play room! Now, what more could you’ve asked for! A near 140 kilometres drive from Delhi, will take you to this splendid hotel, built on the lines of a little French chateau. 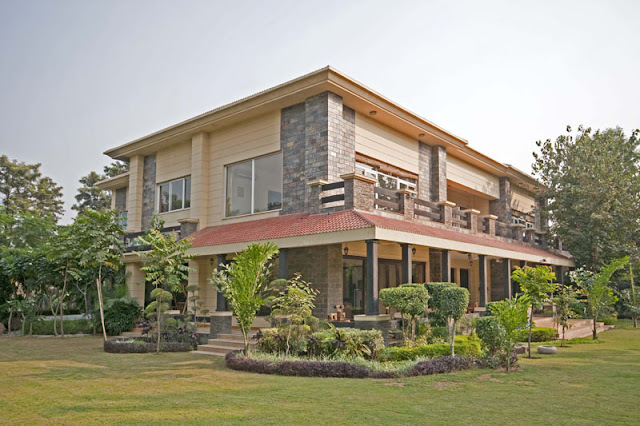 Located on a whopping 100 acres of farmland, this heritage hotel has all that it needs to shed away the office blues and revel in the simple pleasures of life, like a game of kho-kho, some kite flying, bullock card riding along with field walking. The Awesome Farms and Resorts is a just the place that you’ve been looking for to sneak out and break away from the bustling life of the capital city. Loaded with activities such golf course, horse riding, tractor riding, lawn tennis, volleyball, billiards, table tennis along with rock climbing on Arraveli Hills, this wondrous farmhouse will ensure that you never have a dull moment. 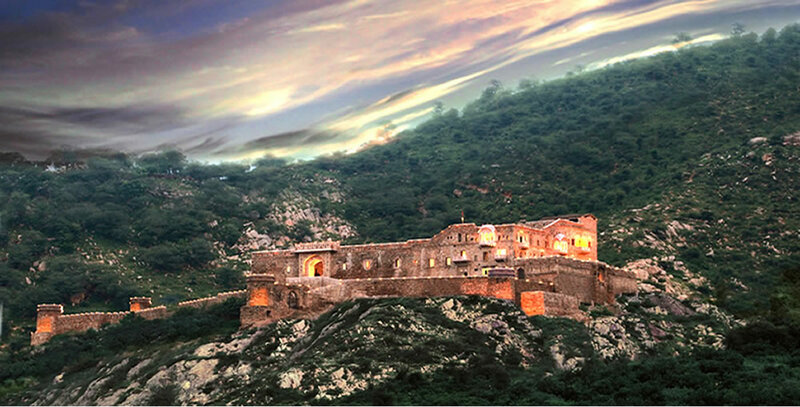 Only at a 40 kilometres run from Delhi, this place is a must-visit. 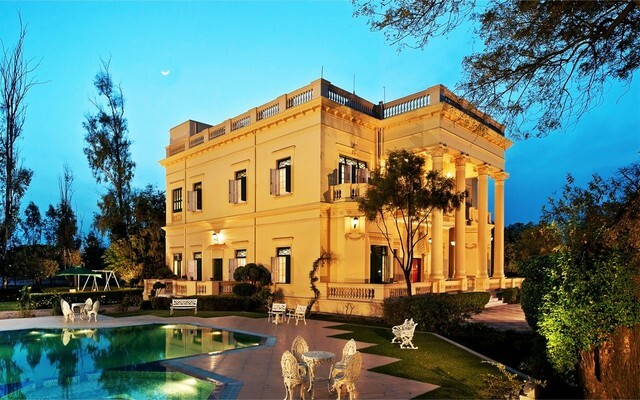 Once the palace of Pataudis, this magnificent royal abode is now converted into a heritage hotel and exudes an old world charm that will leave you mesmerised. While you can enjoy a leisurely time with friends and family at this picturesque property, a quick visit to the Sultanpur Bird Sanctuary is also worth your while. 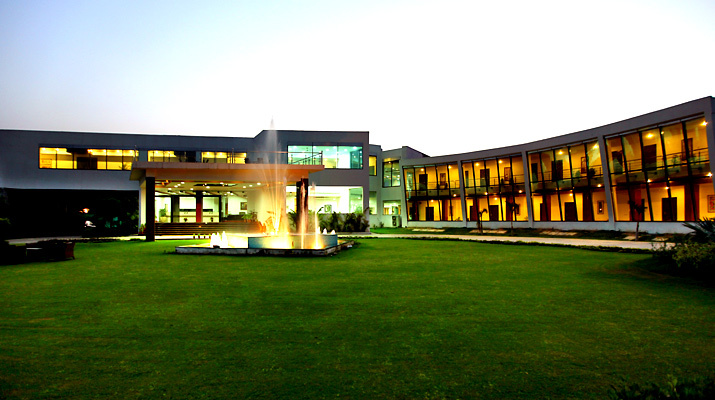 Situated just 70 kilometres from Delhi, this place sure calls for a great weekend getaway. With some unique activities like potter wheel, horse riding, dolphin sighting etc. this dainty resort is sure to give you some memorable moments. Situated at a distance of 112 kilometres from the capital city, this splendid resort boasts of the highest sailing club across the planet where you can enjoy a compelling yacht -ride. With sprawling lawns, an old rustic feel of yesteryears and a magnificent panoramic view of the beautiful Aravallis Range, this plush getaway is one that will leave a lasting impression. While each room is different and has some unique characteristics to it, you can also avail an accommodation in the hotel’s tents. 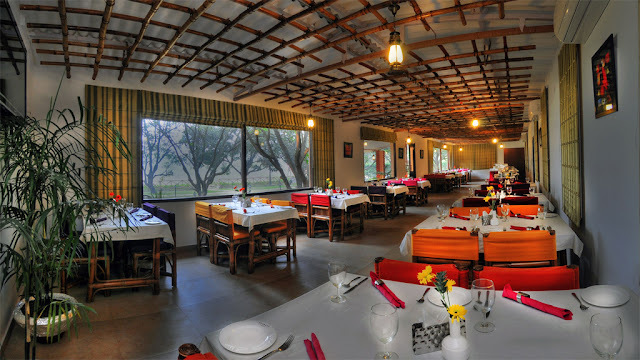 Located at some 150 odd kilometres from Delhi, the service, the hospitality and the food proffered by this hotel is worth the drive. 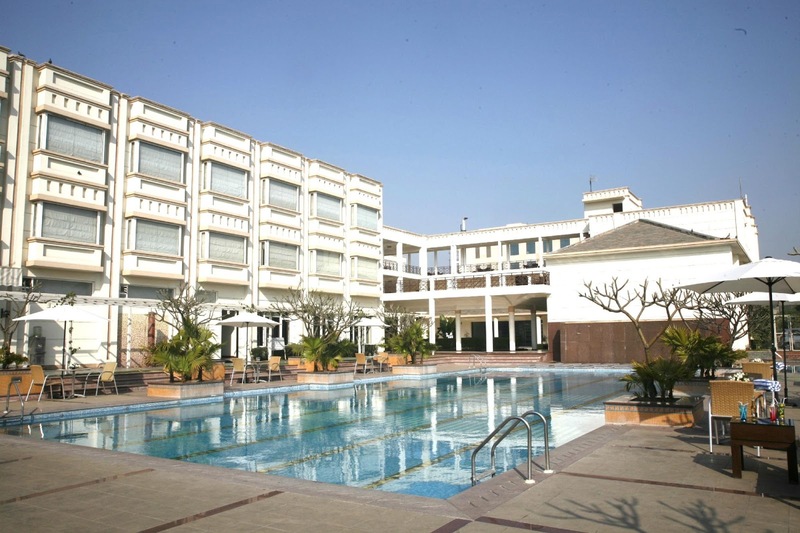 When on a religious sojourn to the holy land of Mathura, nothing will fit your bill better than this serene hotel. With all the amenities of a modern-day luxury hotel, the Radha Ashok, is strategically situated between Mathura, Vrindavan, Goverdhan and Gokul, offering impeccable convenience. Situated at approx. 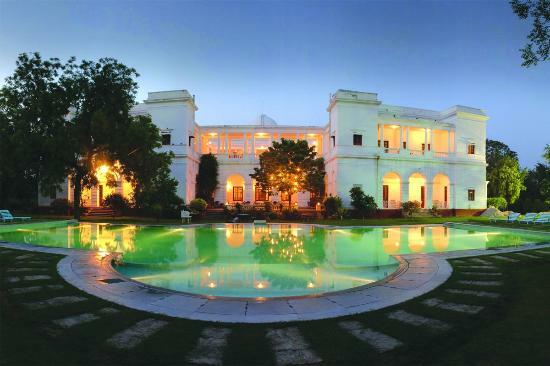 160 kilometres from Delhi, this hotel is the best you can pick for this pious getaway. This brilliant farmhouse is set in an incredible 2 acres of beautifully landscaped land. A perfect blend of ethnic décor with all the modern comforts, this quiet getaway is just what you needed to rejuvenate after a tiring week at work and prepare yourself for that upcoming project. With a book nook, a TV/DVD lounge, some lovely balconies and patios this place is more than just ideal for a quick family retreat! While Vrindavan is flooded with hotels, this one seems to have attracted our attention for a reason. 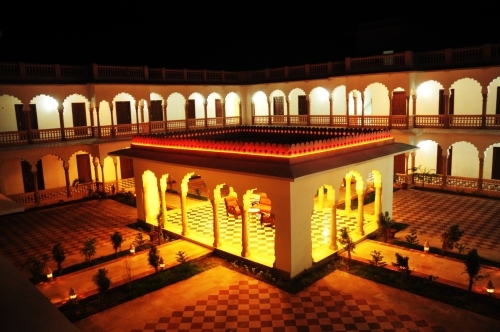 The Nidhivan is one of the very few luxury hotels in this town of religious significance. What’s more? In spite of being in a contemporary modern day set up, this hotel strictly serves only pure vegetarian delicacies to its guests! Nestled in the heart of the Indian countryside, at a drive of 114 kilometres from New Delhi, this resort is nothing less than a paradise. A perfect pick for a getaway that offers pure utopian bliss. And with activities like archery, pottery, water polo, zorb football, quad biking and zip lining, spending just a weekend in this magnificent hotel will never seem enough! A picturesque drive of 186 kilometres from the capital city will take you to this marvellous heritage hotel. While its architecture inspired from the Mughal era is simply outstanding, the modern day amenities and its amazing hospitality will sweep you off your feet. 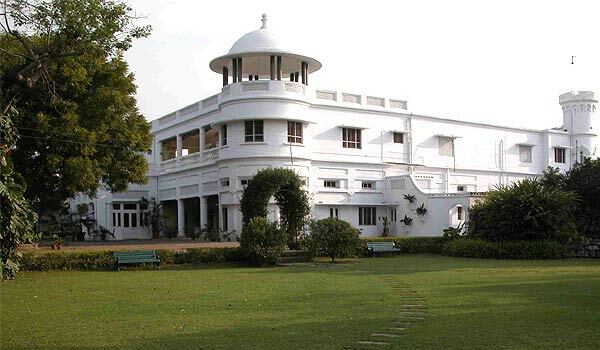 With its famous bird sanctuary and well-known keoladeo park, this getaway to Bharatpur, will surely be worth your while. From fun activities such as free fall, flying fox and zorbing to some rustic pleasures of the likes of kanche and pitthoo the Dream Resort has all what it takes for a gratifying fun-filled day-out. Set in an idyllic backdrop amongst 50 acres of lush green farmland, this resort is as refreshing as it can get. 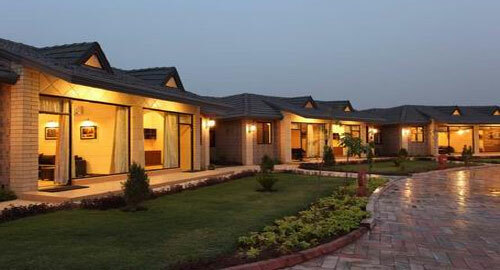 The resort, one of its kind in Rewari, boasts of specially designed Mud Cottages with special Vedic Yantra Motifs thus ensuring a peaceful sojourn. With various activities at your bay, this resort will surely keep you entertained throughout the weekend!